As the focus increased on Muslim world following the 9/11 attacks in the USA, one witnessed an array of researches on Islam and Islamic traditions. Though most of the work focused on trends of militancy amongst various Muslim groups, some did highlight the peace loving and tolerant traditions of Sufism. On March 15, I received a call from a relative whose esteemed guest had dropped out of a book launch and that I could go in the guest’s place. Yours truly, who is as proud a bibliophile as any, received enormous joy by this rather curious and unexpected last-minute invitation. Stephen Cohen invited a group of experts to a workshop in Italy to predict about the future of Pakistan by touching all issues. When someone in Pakistan predicts about the country, he or she mostly ends up hurling abuses against those who sit at the top. Should the top few be publicly hanged, the country will be on its road to glory — so goes the cry. 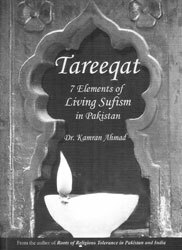 Tareeqat: 7 Elements of Living Sufism in Pakistan by Kamran Ahmad is one such attempt, reminding people of Pakistan that they have powerful and historically active spiritual roots which form part of their daily lives and are deeper than anything the proponents of militancy try to push on us. Through this work, Ahmad makes no rational argument for those who want to understand religion. It is also interesting to note that there is no textual reference to what others have written about religion or spirituality. He makes a note to the readers that this manuscript is not for researchers and goes on to say that this work is based on direct experiences with spiritual people and practices in various parts of the world. Kamran Ahmad has a PhD in South Asian Spirituality from the US and has taught religion and psychology at various universities in the US and Pakistan. He is also the author of Roots of Religious Intolerance in Pakistan and India. These newly-born religious groups, Ahmad notes, need to understand that we have powerful spiritual roots in the form of Sufism which run through our souls. Sufism, he writes, has been lived and experienced as a living force in the daily lives of the people of the regions that formed part of Pakistan for centuries. Still, not much has been written about it as frequently. He writes that in the South Asian region, there remains a strong feeling that matters of the spirit and secrets of the heart are not to be talked, written or argued about. “They are to be experienced and they are to be lived. And they are part of our everyday life. We did not learn about them in our classrooms or madressahs, or through books or television talk-shows. Spirituality has always been a part of our everyday lives, showing up in our relationships, in our friendships and in our celebrations,” he writes. The author takes us through the seven elements of Sufism in Pakistan which form part of our daily life and discusses each one of them in detail. He talks about Ishq, (matters of the heart) Ishq-e-Haqqiqi, (spiritual love) Rawabit, (family and community relationships) Tawakkul, (submission to the will of the God) Aks-i-muqaddasa, (the sacred as reflected in names and forms) Rawadari, (pluralism and respectful tolerance) Wahdat-ul-wajud, (sacredness of everyday life) and Jamaliat, (beauty and creativity). The author provides practical guidance in how to incorporate these seven elements of spirituality in our lives and to create a balanced existence. We reached Hong Kong’s luxury hotel Conrad at 7.00pm where most attendees looked like caviar-eating royals from Monaco. Soon after, I realised that what had been touted as a book launch by my relative was in reality the Man Asian Literary Awards. The select gathering of 40 odd people was animated and the real magnets were the seven nominated authors. One of the judges of the prize was Razia Iqbal, a Pakistani born abroad, who does the show Talking Books on BBC. She had a huge mauve gown on with a pixie hair-cut and her heavy British accent lent a fresh appeal to her nonchalant chatter. Another judge was a Korean-American Pulitzer nominee Chang-Rae Lee. Yet another celebrity writer was on board: You might not recognise the name Vikas Swarup. But you should know that the movie Slumdog Millionaire was based on his novel. He is a young but white-haired career diplomat, presently a counsellor in Japan, pleasantly greeting everyone along with his wife, though he was not very amused by my enthusiastic salutations and handshake. Before the prize was announced, all the judges gave a speech and Razia Iqbal mentioned how important fiction is to her since her early days. All this glitterati seemed so different from the act of writing itself — the solitary creative adventures and dilemmas, lonely quests and anxieties one suffers and enjoys in the life-long pursuit of that elusive masterpiece. Chinese writer Yan Lianke stood a few paces away from the flock of writers. He perhaps embodied Communist China well. 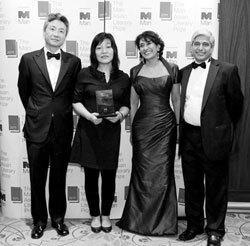 The nominees were introduced in the main room with the stage that had ‘Man Asian Literary award’ inscribed in its backdrop. Each nominee was introduced and then dinner was served. There were three Indian nominees — JahnaviBarua (a pathologist with a son who has bid farewell to bacteria for books), Amitav Ghosh and Rahul Bhattacharya. Moving beyond China and India, the other writers were Jamil Ahmed from Pakistan, Banana Yoshimoto from Japan (who bowed in a dignified and classical Japanese way each time her name was announced) and Kyung-Sook Shin from South Korea. Frankly, I had heard of only some of their works earlier, but now I have a better idea of course and plan to read them all. The awards were to be announced by the end of the evening. We were seated to the left of the small stage. Some of the award group’s staff-members were on the table too. I was sitting next to Jamil Ahmed who was one of the nominees. A civil servant by training, he served in Balochistan and mastered Pushto. His Pushto proficiency sent him on a posting to Kabul and he was there when the Soviets arrived. One day when he had tried his hand at haiku, his wife told him it was rubbish and he should try something he knows about. This gave him the idea for the Wandering Falcon, which draws largely from the Baloch lands and tribes among whom he spent ages. There were now three writers from India, and one from Pakistan. I had a secret hope that Ahmed would beat them all. The moments shared with Jamil Ahmed were of course special. He was around 80, and least bothered by the glory the writers are offered these days. He was simply happy to be alive — he wants to smoke everyday, read more and more although has no writing plans in the near future. He has refused various literary junkets in India and America because of visa hassles. Unfortunately, he turned down my frantic requests for an interview so that he could spend a restful evening in Hong Kong. The first course of dinner arrived soon, followed as always by the main course and a sumptuous dessert. By the time I finished the meal, the judges were on the stage expressing how much they loved the nominated books. The prize was announced after much suspense. And it went to Kyung-Sook Shin, the first woman to win this award, for her novel, Please Look After Mom — a novel on motherhood with the background of the tragic Korean War. Everyone dispersed to take photos, autographs and exchange their final few business cards. At the end of the evening, Jamil Ahmed, his family, Amitav Ghosh and I went to sit in the Garden Café of Conrad Hotel. The café is located outside the hotel, where all the shimmering skyscrapers of Hong Kong’s prestigious Admiralty area glared back at us. Behind us were the big crane–like ships of the Wanchai port, quietly docked for a night’s rest. The cool sea breeze and the scent of whiskey from nearby tables, made the setting more charming. Ghosh (in his lyrical Bengali English) and Ahmed started reminiscencing of Doon and St. Colombia’s school, their earlier visits to India, Pakistan and New York. Almost every Pakistani of any significance was mentioned. Everyone was impressed by how much Ghosh knew about Pakistan, while my sole problem was to cut him off and take a picture with me. This problem was not resolved till the end of the evening. But I was not complaining. May God bless that honourable guest who dropped out at the eleventh hour! Despite the rise of dozens of channels, no serious effort is done to fill this intellectual void in Pakistan. Many prime time TV channels rather invite palmists and astrologers to read zaichas of political leaders as to how the next year will go. The viewer is double convinced: the future of Pakistan is tied to the fate of the individual! What no one tells is that the country’s rulers are often mere pawns on a board of unsolved puzzles. Why ignore the country’s civil-military imbalance, identity politics, etc.? Serious observers won’t do so. Brookings Scholar Stephen P. Cohen invited a group of experts to a workshop in Italy to predict about the future of Pakistan by touching on all the issues. 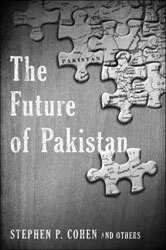 The end result is motley of articles which are compiled in his new book, The Future of Pakistan. The book illuminates the big ideas that can or cannot make Pakistan work. It presents the comprehensive revelations or revulsion about Pakistan to the wide audience. As fresh insight is offered at some places, many, many sections are restated and repeated — and even asserted without proper evidence. Brigadier Shaukat Qadir states in the book that even though the government seems to be completing its five-year term, “unrest in the populace is spreading, and it is impossible to predict the outcome of even the mounting protests against electricity.” The insinuation that the unrest is “spreading” and that it has the potential of quitting the government are all debatable points in Pakistan. Only Zulfiqar Ali Bhutto’s post-1977 example comes to mind when he was chased out of office allegedly for spreading unrest. But isn’t that passionately contested today? Contributors to the book are renowned experts, former policy makers and respected academics. Despite their diverse backgrounds, most are experienced on Pakistan’s foreign affairs. Much of the future predictions about Pakistan in the book, therefore, hinge on Pakistan’s external relations. Some focus on how Pakistan’s relations with India will go; others on China and the United States. Some even agree that an attack on the U.S. soil emanating from Pakistan will worsen the already-deteriorated relations between the two countries. To some extent, the external realm is rightly focused. Pakistan’s inability to acknowledge the gravity of its internal problems comes out from its insecurity viz a viz India. Pakistan has a reluctant track record on taking militants inside its territory and considering them their strategic assets despite the assets’ scorched-earth policy. The country is not only beset with a weak political class but a civil-military imbalance which even intrudes in the country’s foreign policy decision-making process. So much institutional overlap is present in today’s Pakistan that when a politician is held accountable about poor governance, his typical reply is that his hands were tied. How will the foreign policy dimension get fixed then? It also needs to be borne in mind that military’s security concerns on India cannot be blindly set aside. Perhaps changes in the internal sphere can push for fluctuations in the external realm. One of the recent significant changes, which may withhold past repetitions, is devolution of power to the provinces. The passage of 18th Amendment and granting of NFC awards to the provinces will crack the centralised structure of the state. Once provinces start internalising the recently-granted autonomy, state’s reliance on one province will fade away. Once smaller provinces demand equitable distribution of resources, the big province of Punjab will be forced to look for other options — some of them even in the external realm. The state may “muddle through” for a while, but reversal has the danger of halting the journey. If provincial autonomy is checked in at any stage, it will assert itself more vigorously. If, however, the autonomy is absorbed, the state may be on its way toward decentralisation of power. Will it be a good or bad outcome for Pakistan is to be seen?